Well, maybe not all of it. But definitely some of it. After our second day of snow and a sort of frustrating day at work, I arrived home to a kiln that was cool enough to unload (it’s a little unusual for me to wait that long). 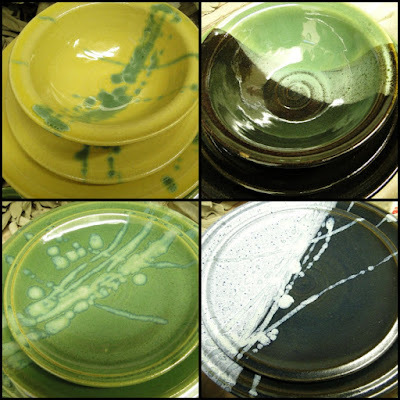 This load had several sample place setting that will be going to Stones Throw Gallery in St. Peter. The yellow one was a little disappointing, but the other three look great. The yellow glaze looks great on a white clay, but on the buff colored clay this place setting is made from it isn’t as appealing to me. There were also several mugs in this load. 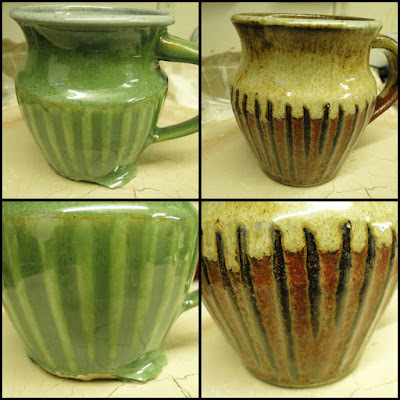 A few weeks ago, I showed these mugs after they’d been thrown and I was putting the slip stripes on them. The green one is gorgeous (except for the part where the glaze ran onto the shelf). You can still see the slip is white compared to the buff of the mug body. The one on the right is Iron Red with Sky Blue on the upper portion. It’s great too, but if you remember, I was going to try to bring more color into my cone 6 work rather than my typical earthy tones. I was waiting to see these come out of the kiln! I agree – the yellow doesn't look as good on the clay you have it on there… but I like the others! The mugs look great (even if you do have to grind the green one), I think they turned out very nice. 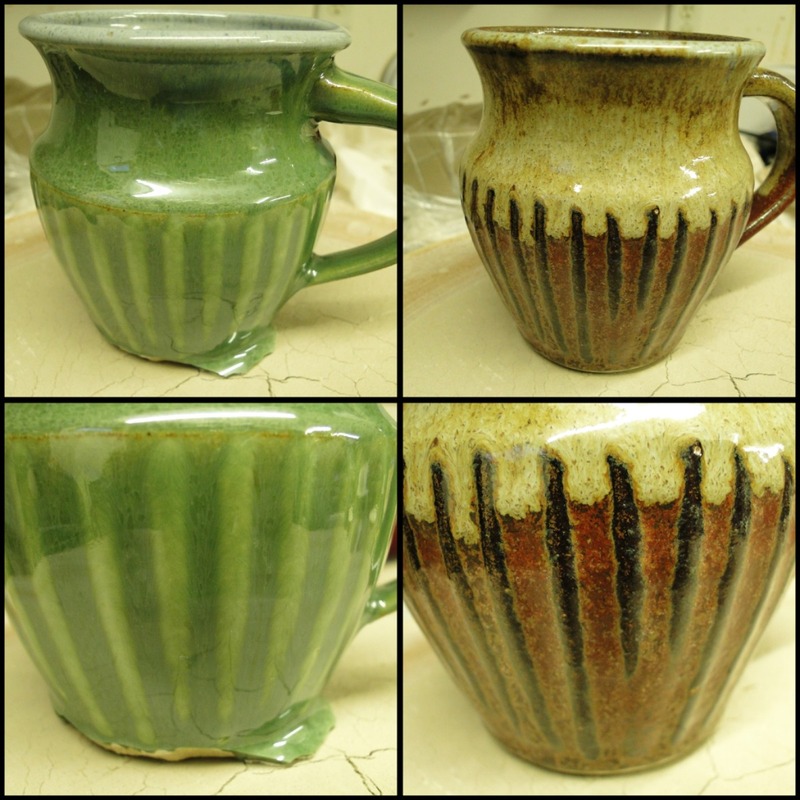 But I am pleased with the mugs and will need to work on more of them. Have a great day. I'm not loving the yellow either but the greens came out nice and bright. Makes me think about spring. I like the earthy stuff too. You should be happy with those pieces.